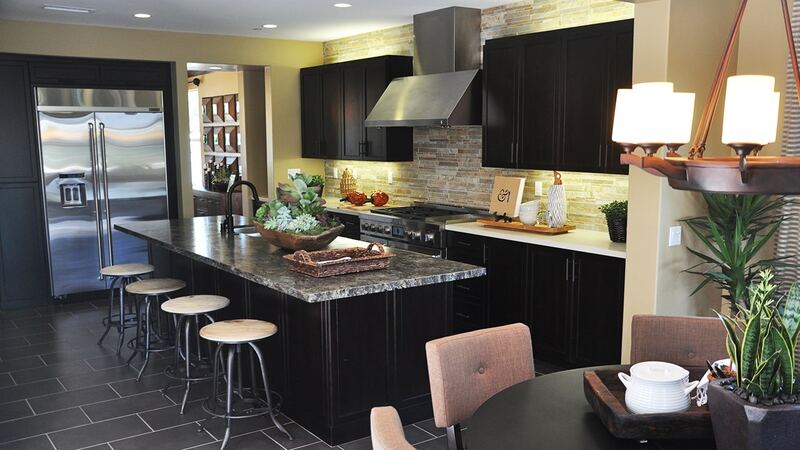 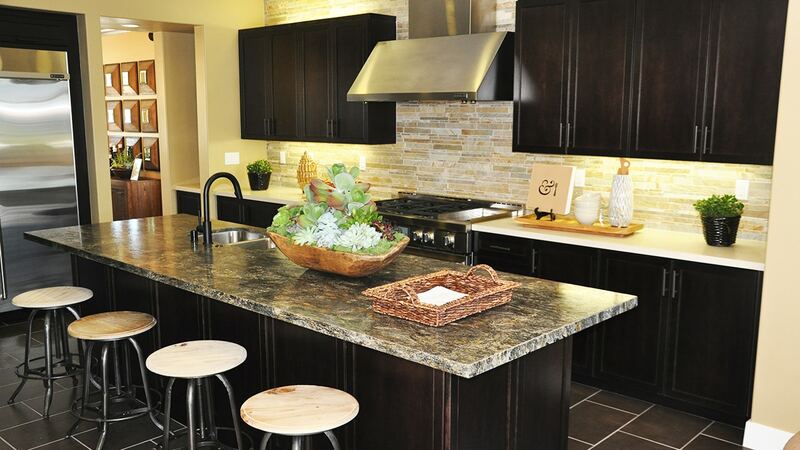 This spacious newly constructed home in Aliso Viejo is set apart by the flamed granite on the kitchen island. 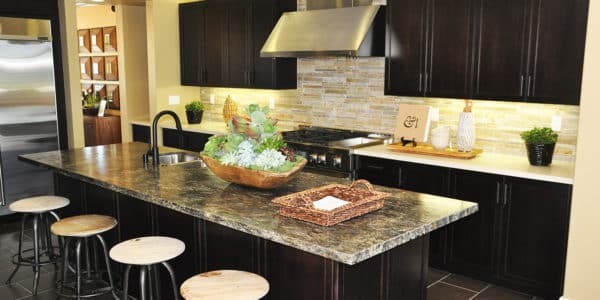 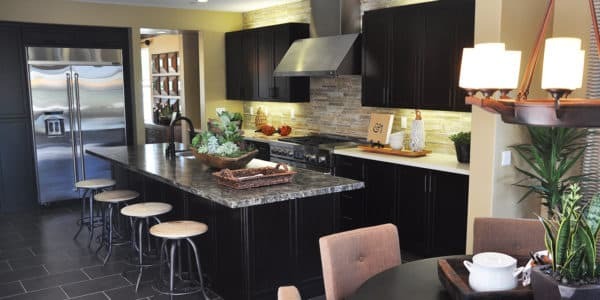 The perimeter counters have quartz countertops with a stacked stone mosaic backsplash which goes all the way to the ceiling and illuminated by over cabinet lighting. 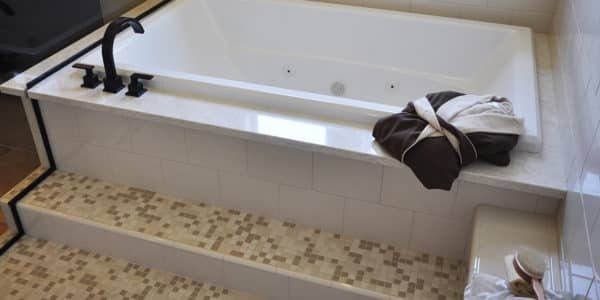 The floor is a 12×24 porcelain tile meant to mimic cement. 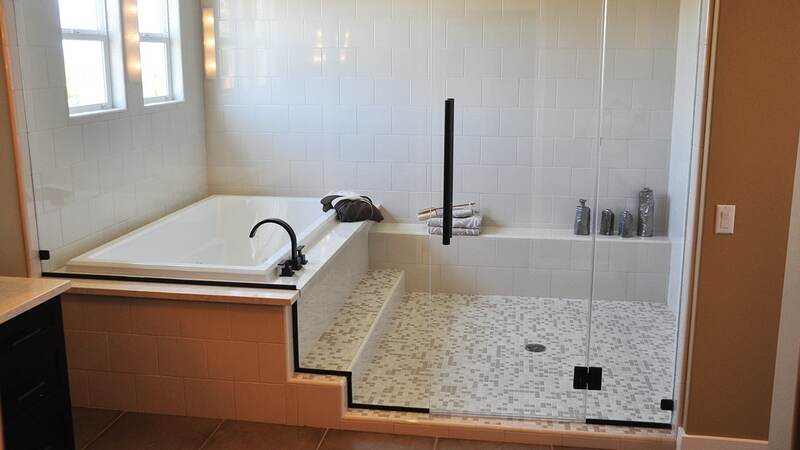 The master bathroom takes space seriously by incorporating the tub and shower in one undivided space. 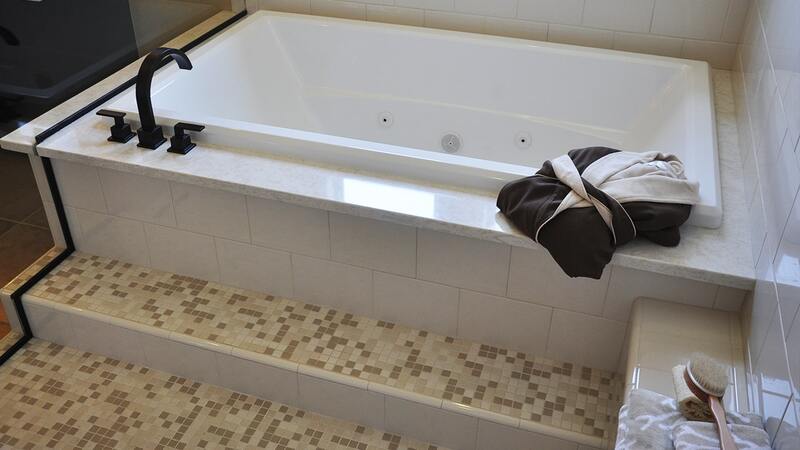 This gives the already large shower an even bigger feel and makes it easy to rinse off after a nice hot bubble bath. 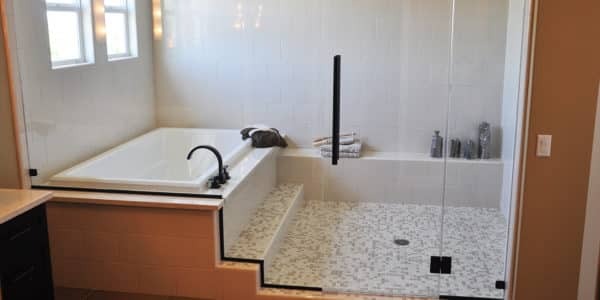 The 8×10 white wall tile is simple and understated while the 1×1 mosaic tile on the shower floor serves to jazz up the space. 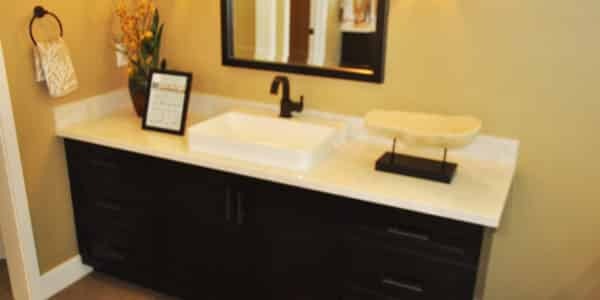 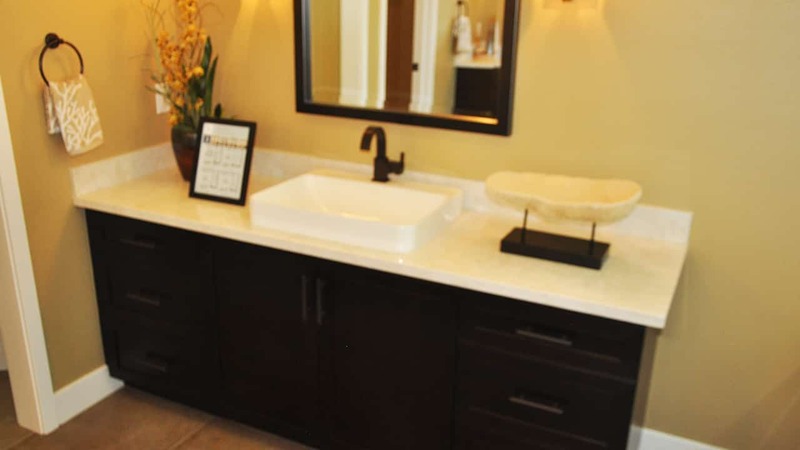 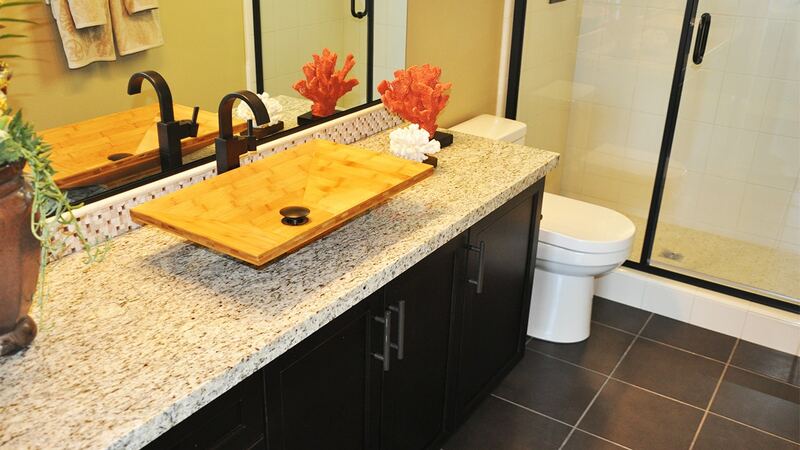 A guest bathroom has been turned into a statement piece with the addition of a bamboo vessel sink.